Gone are those days when businesses used to spend long hectic hours, energy and lots of money toward hiring process. Businesses are now outgrown to the old solution. Now, it’s time to get hold of a sophisticated and well-equipped recruitment software that makes the recruitment process simpler, faster and cheaper than ever before. With the right software you can genuinely improve your company’s customer service capability, maintain optimal professionalism and save hours, and top of all find and place the right candidates. Today, we are sharing Top Six Tips to Choose the Best Recruitment Software for Your Business. But choosing the best hiring software is a BIG challenge. If you choose a wrong one, you may face bad times meeting the needs of your company until you gather money and have time to move to new software. Here are some outstanding tips that help you make the wisest decision in terms of choosing the most suitable recruitment software system. Once you’ve shortlisted possible solutions, visit each of vendors’ websites and read what others say about their products and services. Now do a search on Google for their business name and software name and see whether or not they’re mentioned in any of the online tech forums. If you find anything negative about them, do your own homework to see if the problem is sorted out. However, not all complaints or reviews you find on the web are genuine; they might be fake or constructed by the competitors to defame them and steer potential buyers to desired outcomes. You can also ask the vendors, once shortlisted, for contact details of some of their previous and existing customers, so you can ask them about their experience with your chosen software by your chosen vendor. Don’t just run after saving time or improving the system. Understand your need and how you want the software to make your tasks easy. For example, check if the system allows you to use social media to find prospective candidates outside your internal CV database or allow you to use SMS for communication and keep a record of all communications on a system. When it comes to finding the right talents, you have to catch the fish at the right moment. In today’s recruitment environment, you can find good employees on job boards and social media. And your job can be much easier if your chosen recruitment software helps you by distributing jobs via different channels in a few simple ways. And this is one of the major aspects of the level of comprehensiveness you’re looking for in hiring software. Not all data tools are built equally. When it comes to your chosen software, the data analytics should be worthwhile. It’s not difficult to endorse data compilation and reporting with any software package. But does the reporting add value to your employment structure? This step requires some legwork at your end before you start working with a vendor. Know which type of data analysis would be required for your organization. This may include various kinds of hiring related reporting that your company likes to review. Once you understand exactly which kind of data you need, make sure your chosen software is capable of providing you with such options. Compare vendors and shortlist to weed out less relevant and useless options. While choosing recruiter software, it’s not all about the features if offers. It also includes tech support, after sales services and turnaround time for any assistance you may require to get from the vendor. Larger software vendors often use their fame and size to overwhelm you into believing that they are the best in providing you with the best support. On the other hand, you might find some smaller software vendors to be handier, more nimble. They try utmost to get business from you. So you must be careful about reviewing your options to ensure better offerings from a small, but the fast-moving vendor that responds quickly to address your needs with sheer dedication. Don’t let a larger vendor push you for something that you may not need or want. Some vendors simply handcuff the customers to their software system by making it tricky or expensive to leave with all encrypted data. At present, you may think that your chosen system is just perfect for your business and you never need to change it. But time changes; market changes and thus the requirements. Make sure you don’t struggle to end the contract (if any) or leave only because your data can’t be extracted easily. So select a vendor who doesn’t lock you in. Irrespective of the options or features they offer, make sure you choose the best recruitment software for your business depending on your need, company’s internal structure, and budget. The software should provide a platform that your HR team is capable of adapting easily and using it for a longer period of time. 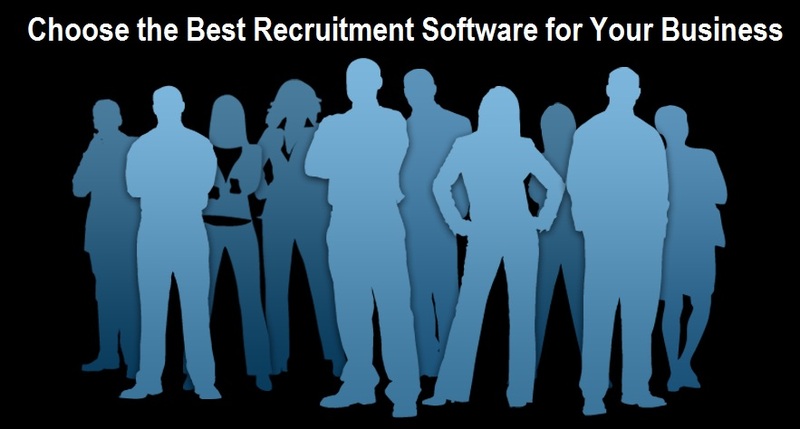 Choose the software that adds more values and eases your recruitment process.